Transformer Evacuation System BV-3000 is designed to gain vacuum bulk needed for evacuation of transformer tank. Operate the Unit when assembling, servicing and exploiting oil filled equipment (power transformers, high voltage switches, etc.) up to 1150 kV of voltage. The unit may be used for transformer evacuation and transformer dry-out. The Unit can be used for installation, repair and maintenance companies which are dealing with transformer oil treatment and transformer service. The unit is not fit for operation in explosive or toxic environment, as well as environment reactive to lubrication materials. When operating the unit indoors, install gas exhaust line to evacuate gases into the atmosphere. Transformer evacuation system model BV-3000 is designed for evacuation of power transformer tanks and for vacuum drying of electrical apparatus as well. It can also be used together with transformer oil purification plants.Transformer evacuation system consists of double stage vacuum pump group (three backing vacuum pumps and booster vacuum pump). Two rotary vane vacuum pumps with capacity of 3×100 m3/hour each are used as backing pumps; one Roots rotary piston pump is used as booster vacuum pump. Backing vacuum pump is used for creation of initial vacuum and booster pump creates absolute vacuum. 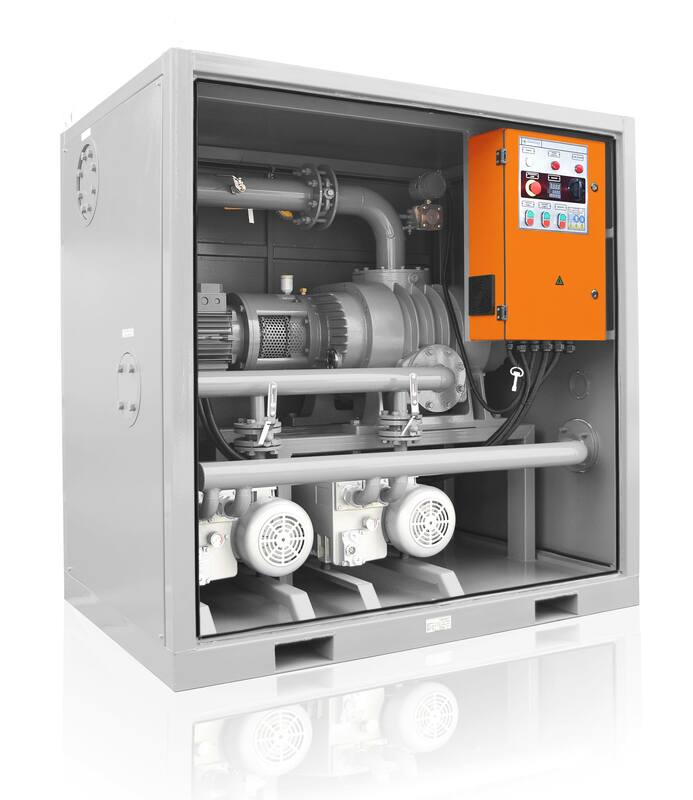 This pump combination allows to secure high efficiency of Transformer evacuation system up to 3000 m3/hour by maximum vacuum value up to 0,01 mm.Hg (Tоrr).